Here is Colonel Joseph Hayes' Little River Regiment at Cowpens. The LRR was a sister regiment to Brandon's Fair Forrest Regiment (AKA Second Spartans) and both had been in a number of battles together including Kings Mountain and Cowpens. The LRR manned the SC Militia line at Cowpens. 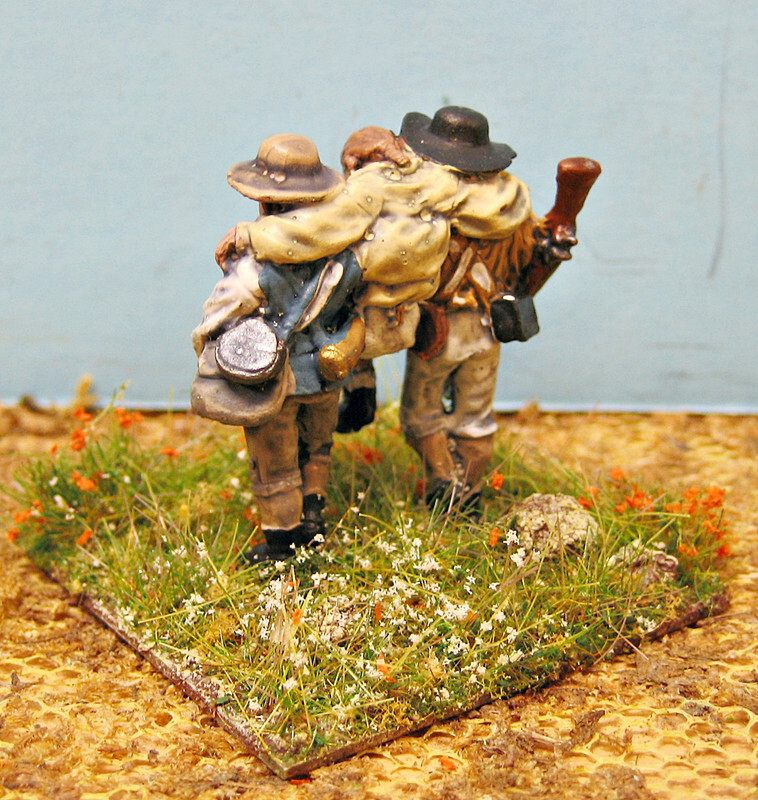 Figures are a mix of Perry and several conversions. Conversions and basing by me. Bill. 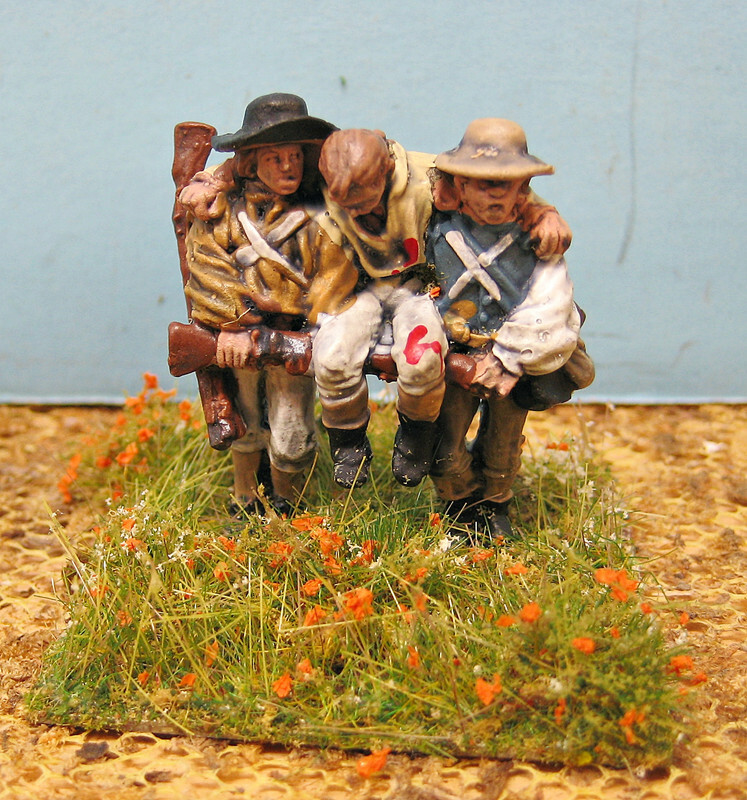 Where did you get the set of the 2 soldiers carrying the wounded one on their muskets? John, That's a Perry sculpt from the wounded Americans pack. I've got a couple extras. PM me.